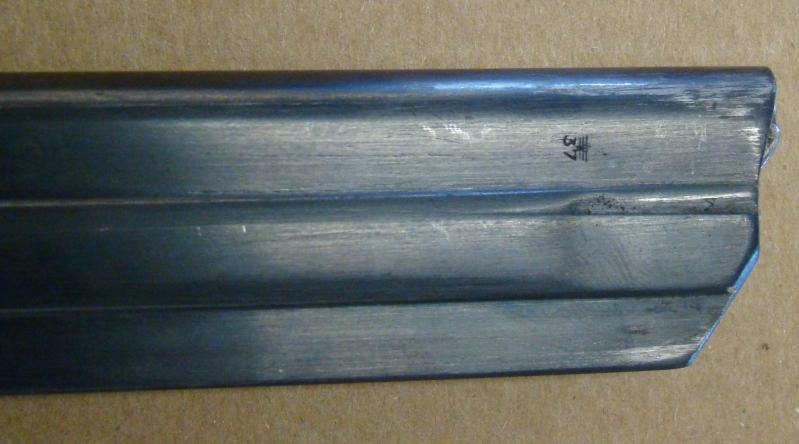 Our shop has a Luger stamped 1918 on the slide ahead of the ejection port. 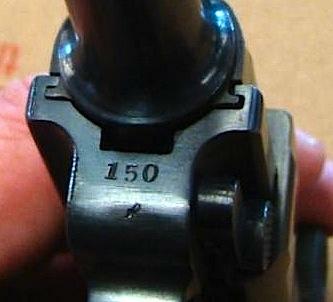 Serial number "150" with "50" stamped many of the parts. 6 inch barrel. Has 4 proof marks on the right side of the slide, 3 have a crown above a S shaped thing and the 4th is hard to ID. Has been nicely reblued. Overall the pistol looks "too" new. Above the 1918 on the slide it appears to have had something lightly ground or filed off the slide. Almost like there was a crest or something removed. The bottom of the 6 inch barrel has "made in Italy " stamped in tiny letters. Other than the "gesichert " there aren't really much other markings on the pistol. No import stamps. Pictures should would be nice. 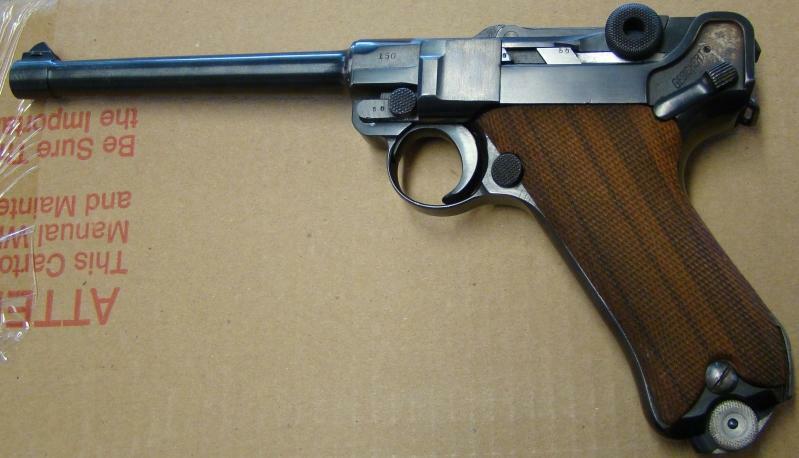 The 1918 identifies it as a military Luger. The front toggle (breechblock, front toggle, rear toggle) should have either a fancy intertwined DWM, or ERFURT stamped on it. The first three marks on the side of the receiver are the acceptance marks, and consist of a crown over a fancy script letter. The fourth mark is a stylized eagle, and was the firing proof. Look under the serial number on the front of the frame to see if it has a cursive lower case letter under it. 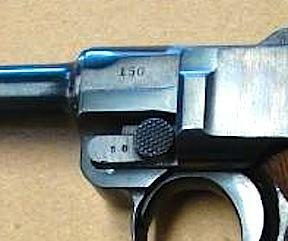 The 6" barrel is not original to the pistol, and the buff and blue did not help any. It is now just a shooter. I will take pics and add them tomorrow. It is DWM marked on the toggle. 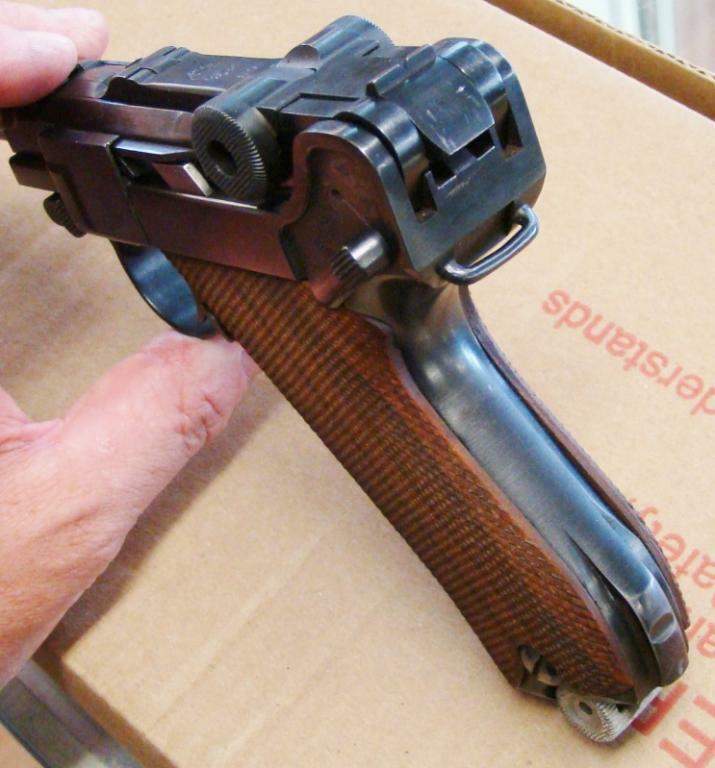 I figured the barrel was a repro but couldnt find any info. I know zilch about Lugers. The acceptance marks on the slide are nice and sharp, letters and other numbers are not blurred or polished off but I still presume that it is a reblue. Just too clean for a century old pistol plus the barrel issue. Also has a clean magazine with Nazi eagle and 37 stamp. 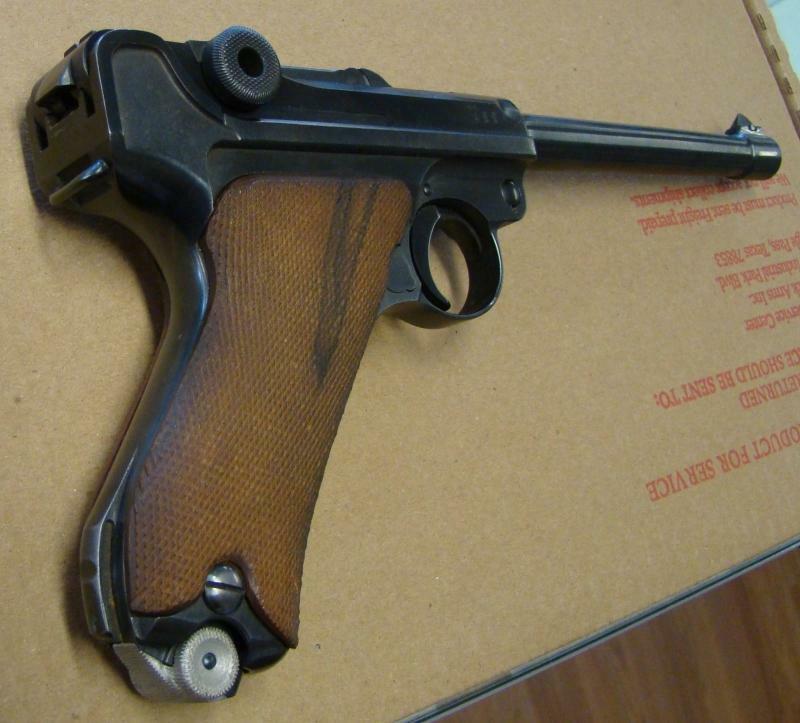 Lugers are a minefield of mixmasters and faked numbers. A set of number stamps does not cost much, so unmarked parts sell for staggering prices. A 150 mm barrel was used on the Marine version, so we need good pictures for a better identification. 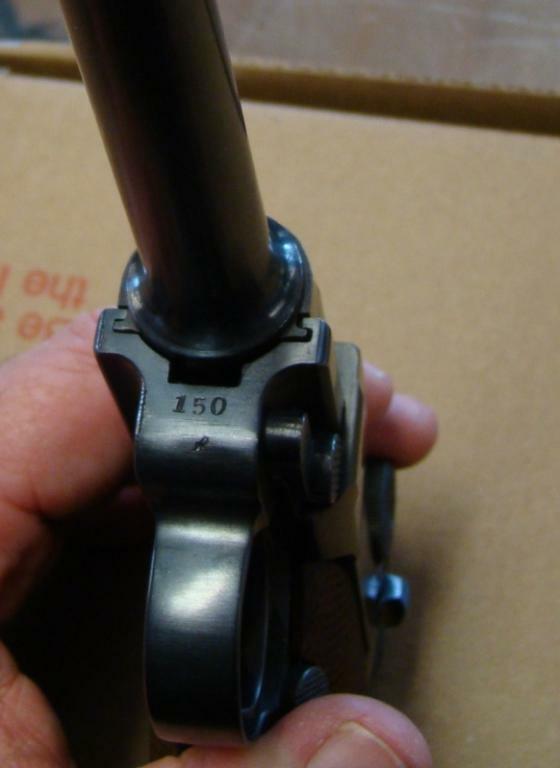 The Army acceptance marks on the right side of the receiver rules the pistol out as a Navy pistol in addition to the "MADE IN ITALY" barrel. The "150" on the front end of the frame seems to have every number in a different font. Compare the "0" for instance with the 0s in other places. And the "1" is extraordinarily wide. I suspect a touch of force matching here. The pictures are not that sharp, but I don't see a great difference in the serial numbers. If it was a high dollar collectible it would be worth verifying, but on that pistol it wouldn't make any difference in value. Looks like a great shooter, but no collector value. We haven't shot it. The store's owner took it in and was trying to figure out what exactly we have here. Thanks for the replies.